Lanthanum (La) Sputtering Targets 99.5% ~ 99.9%(REM) 2"Dia. x 1/8" T P.O.R. Lutetium (Lu) Sputtering Targets 99.5% ~ 99.9%(REM) 2"Dia. x 1/8" T P.O.R. 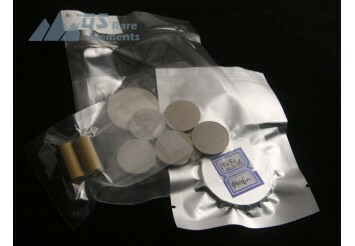 Molybdenum (Mo) Sputtering Targets 99.95% 2"Dia. x 1/8" T P.O.R. 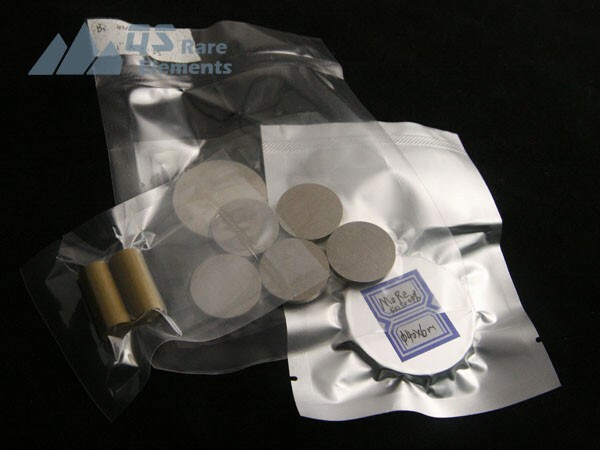 Neodymium (Nd) Sputtering Targets 99.9% ~ 99.95%(REM) 2"Dia. x 1/8" T P.O.R. Neodymium Oxide (Nd2O3) Sputtering Target 99.90% 2"Dia. x 1/8" T P.O.R. Praseodymium (Pr) Sputtering Targets 99.5% ~ 99.9%(REM) 2"Dia. x 1/8" T P.O.R.